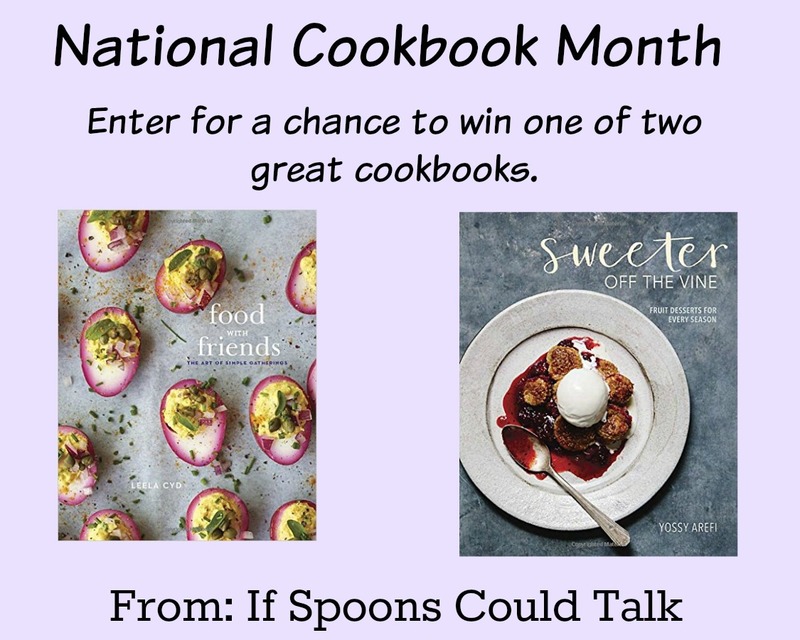 October is National Cookbook month and I have decided to celebrate by giving two of my wonderful readers a cookbook from my collection. 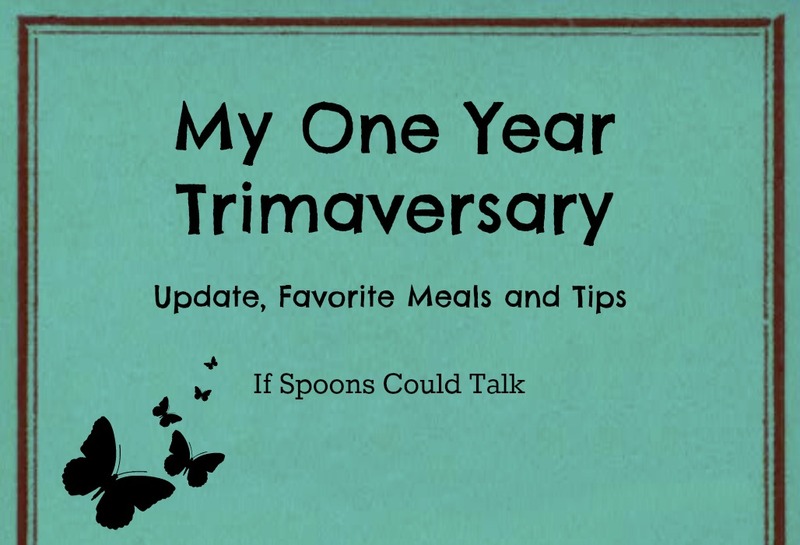 I have been reviewing cookbooks for almost two years now and have acquired quite a few. I feel it is time to give you some of these great books. Even though I can find most recipes online and have Pinterest at my fingertips, I love the feeling of a real book in my hands that someone put so much work and time into. These collections are the fruit of someone’s or many someone’s labor and love, owning a piece of that in support of them is great and inspiring. As someone who develops many of my own recipes cookbooks are a huge source of inspiration, from flavor combinations to cooking methods and even the pictures spark ideas for my own recipes. I think many cookbooks can be seen as a way to preserve history, like a scrapbook. As you look through cookbooks from periods such as the 1920s it is obvious they were writing to a certain demographic, housewives that had already been trained in the basics. There were more approximates and less specific instructions that we see today. You can see this even in recipes from grandparents or great-grandparents, many of the ones I have, say a spoon of this or a dash of that and leave off what temperature to bake at because they knew the recipe so well or just had the basic knowledge of cooking. 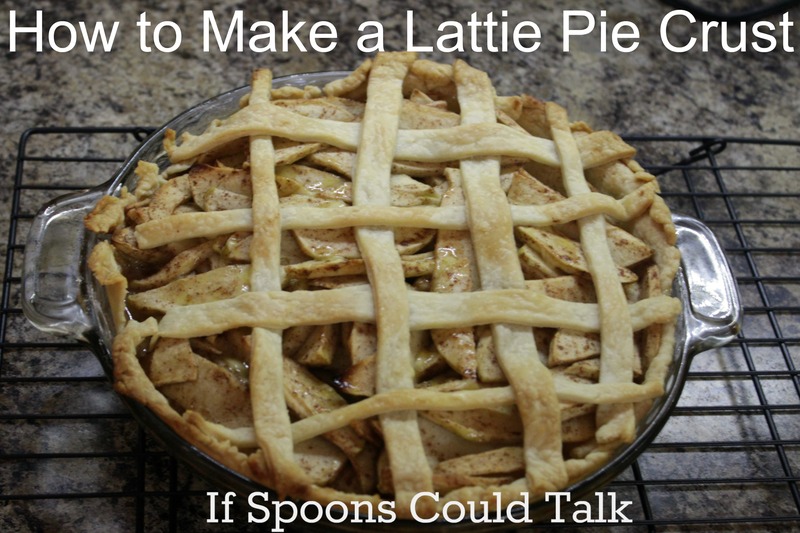 The types of ingredients used also shed light on what time period they were in, recipes from the Great Depression era for example,are basic and use ingredients that were available and made ways to work around those ingredients that were not. 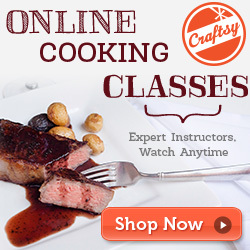 When people in decades to come look back at our cookbooks and recipes what will they think? There is such a variety of different books and categories, will they be impressed by all the things we used in recipes? Will they think we over complicate directions to make sure that everyone can understand it? Or will they be surprised at the things we never thought to do with the ingredients and resources we had, that they use in different ways? Cooking is always evolving and growing I can’t wait to see what our cookbooks look like in 20 or 30 years and all the great things we figure out. For now, though I will enjoy the beautifully well written and photographed cookbooks that we do have. 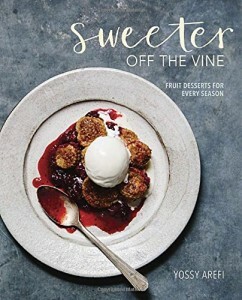 One lucky winner will receive a copy of Sweeter Off the Vine that I reviewed here. This cookbook has great ideas to use fruits that are in season. One lucky winner will receive a copy of Food with Friends that I reviewed here. 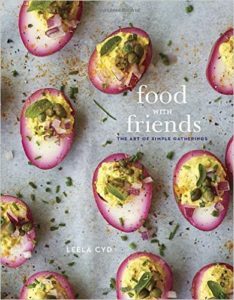 This cookbook has great recipes for gathering with your friends and making memories with them and the food you share. I just love Leela Cyd and the pictures in this book are gorgeous, so the book can double as a coffee table book for people to look at. Use the box below to enter. 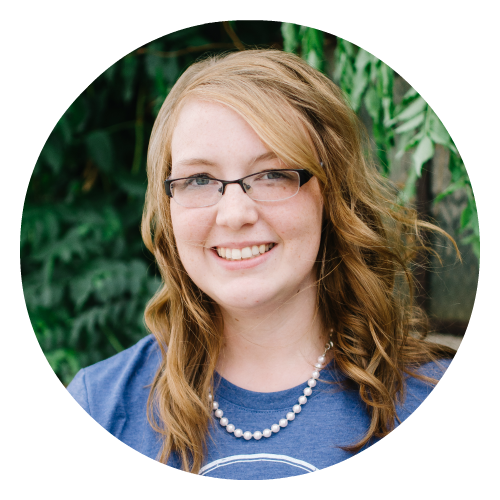 Bonus entries for following me on Pinterest and Instagram, Like on Facbook for an extra chance as well. I’d like Food With Friends if possibile! Thanks for the chance! I would love either but I would choose food with friends! I’d pick sweeter off the vine. Sweet Off the Vine. Yum! Looks like a great cookbook! These both look great! I love cookbooks:)!! I would like sweeter off the vine since we are planning for our first blueberry harvest this coming summer… but Food with Friends appeals to one of my favorite things : opening my home to share a meal with friends. These both look great!